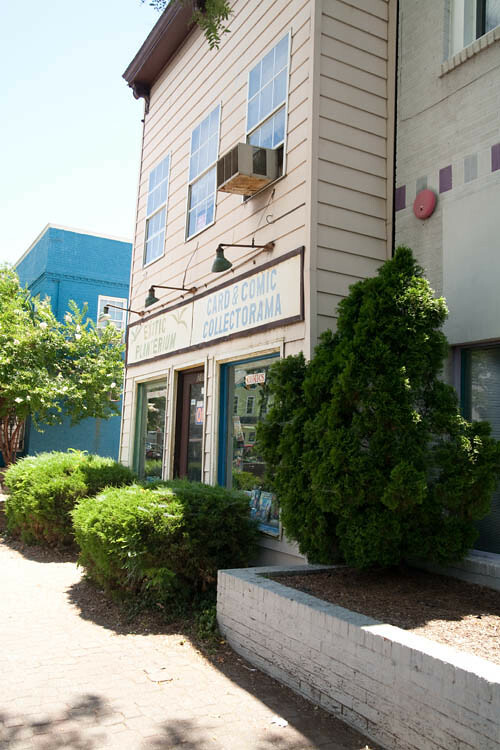 Every neighborhood seems to have an eccentric shop in its midst, one that sells the odd assortment of vintage and dusty trinkets, but manages to stay in business year after year. 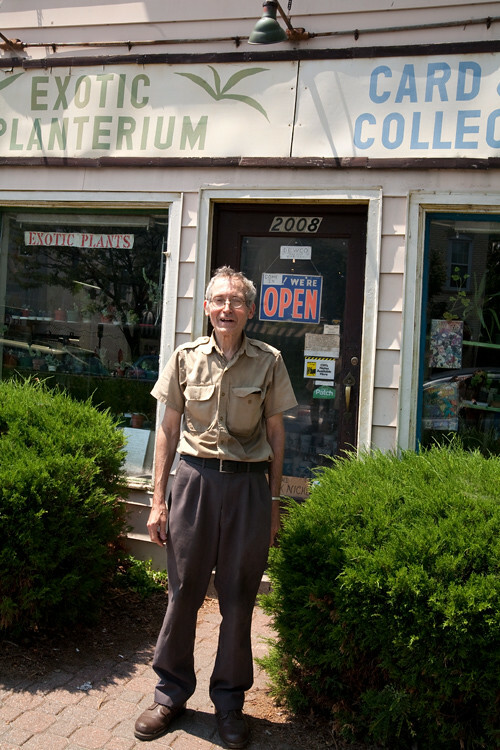 Del Ray’s Exotic Planterium and Card and Comic Collectorama is just such a store. It’s well worth a visit when you’re in the neighborhood. 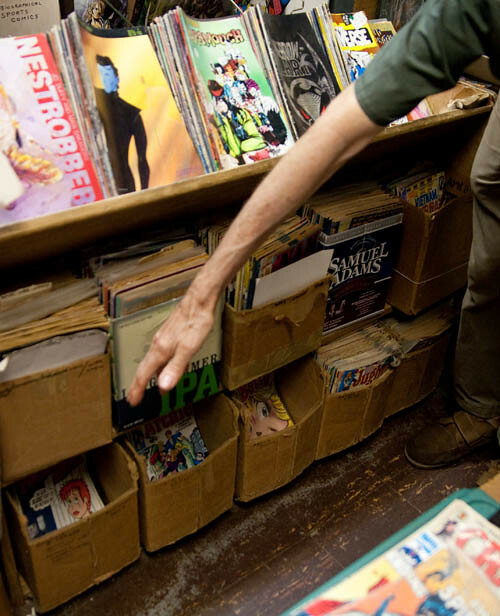 In fact, even though it doesn’t have a Web site, comic book collectors come from miles around to peruse the vast inventory and chat up the owner, Dennis Webb. Dennis grew up in Alexandria. His Mom ran a vintage store just down the street. When he was little, she gave him a corner of the store for him to carry his own inventory of magazines, toys, and games. He later pursued a degree in horticulture and eventually came full circle, opening the Exotic Planterium and Card and Comic Collectorama in 1974. The door sticks, more so when the weather is warm, so you have to squeeze your way in. This and the fact that the interior is not very well-lighted lends itself to a feeling, at first, of apprehension. 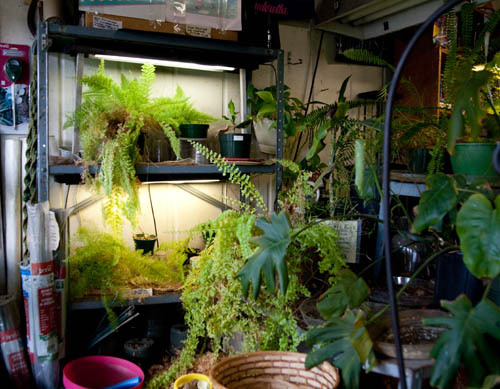 You’re then greeted by a friendly tropical fern under a grow light and an assortment of small house plants. 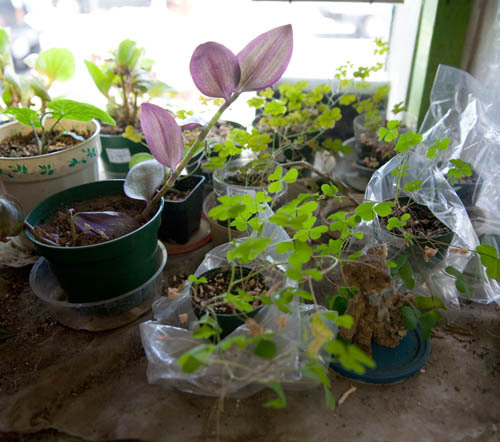 I recently sought Dennis’s advice with my terrarium plant choices. He seems to have infinite patience and definitely knows his stuff. 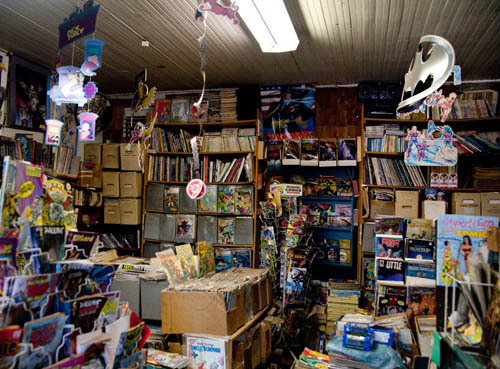 The back of the store is taken up with shelf after shelf of comic books. Even though it looks a bit haphazard at first glance, Dennis has created a very deliberate order, based on the era and type of comic book. He keeps the rare editions in plastic behind the counter. 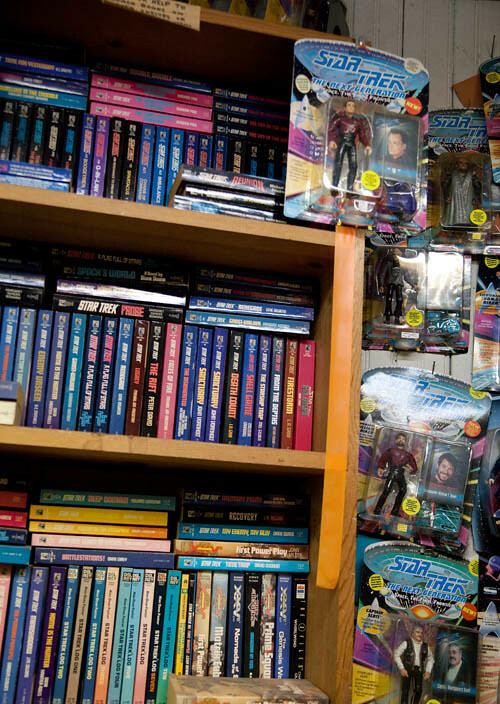 If you look up, you’ll see action figures in their original packaging hung from the shelves and you can also buy old Star Trek paperback books. 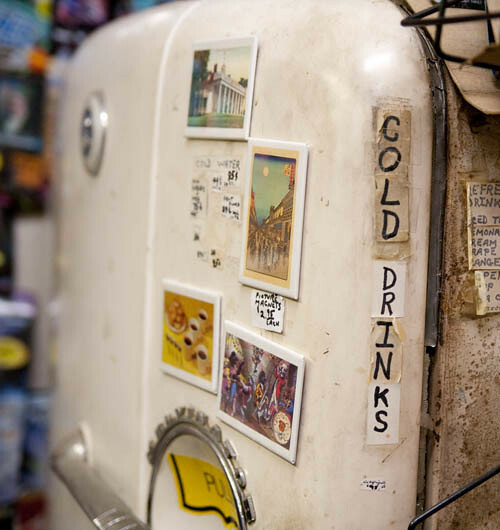 Dennis sometimes sells cold drinks to his customers and he keeps his own lunch in the ice-encrusted refrigerator. 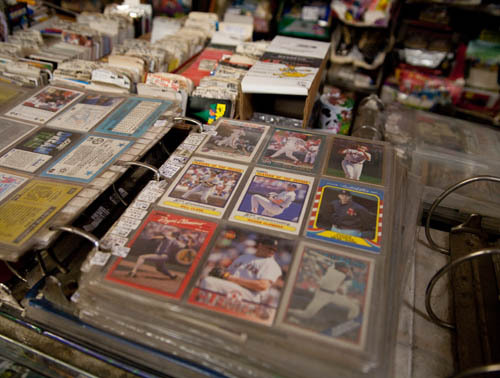 The more time you spend in the store, the more treasures come into focus, like these binders bulging with baseball cards. 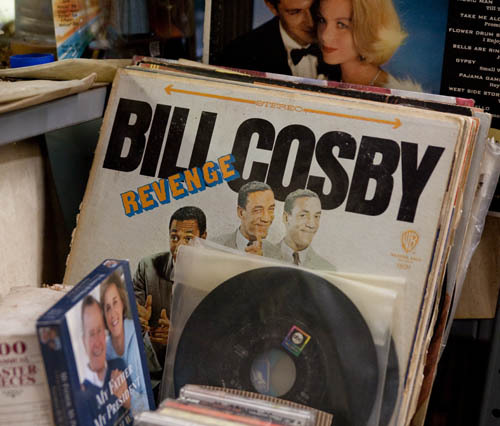 And a random collection of old LPs and 45s. In a neighborhood that’s getting increasingly high priced, it’s rare that a store like this can last. 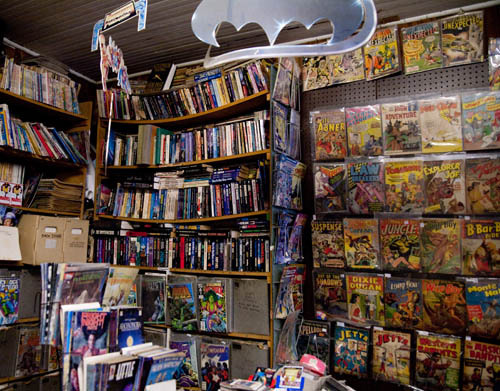 Dennis’s plant and comic book store is certainly a rare gem, one I’m glad we have in Del Ray. 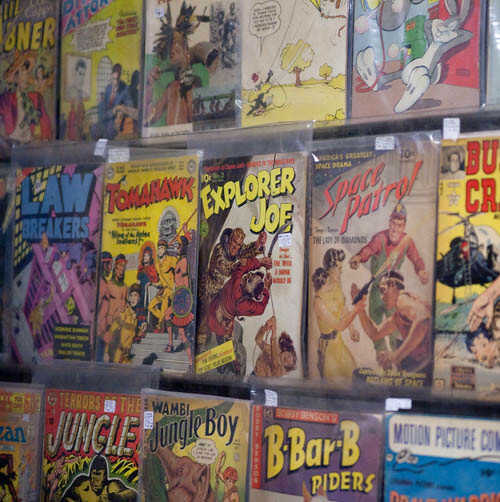 Do you buy old comic books? ?